Surrounded by the majestic Ozark Mountains and Lake Taneycomo, Holiday Hills Resort offers unlimited opportunities for vacation enjoyment. It's the ideal place for those who desire endless sight-seeing and activities or simple relaxation in one vacation location. The championship-18-hole golf course along with a swimming pool, tennis and basketball courts, are but a few of the amenities you can enjoy here. 'Little Nashville,' Branson, is only three miles away and is known for its bright lights, spectacular entertainment, theme parks, museums, and crafts center. Silver Dollar City, a magical theme park featuring old-time fun of yesteryear, is a unique experience for the family. 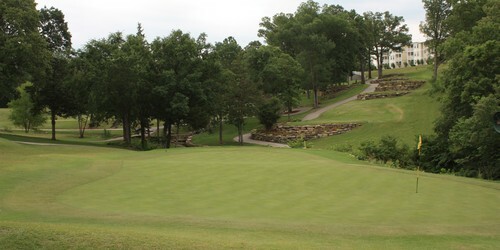 Holiday Hills Golf Resort reserves the right to change price and offer at anytime. Prices and offer are subject to change without notice. GolfMissouri.com is not responsible for errors posted in this golf package.